The old adage goes like this : Some times you have to eat to live; and some other times, you have to live to eat ! Routine food makes your tongue sour. Imagine, there is an experienced chef who guides you with a hand in making your choicest food. Here is a Hyderabadi boy called Sanjay who is now a popular host in mainstream Telegu T.V. 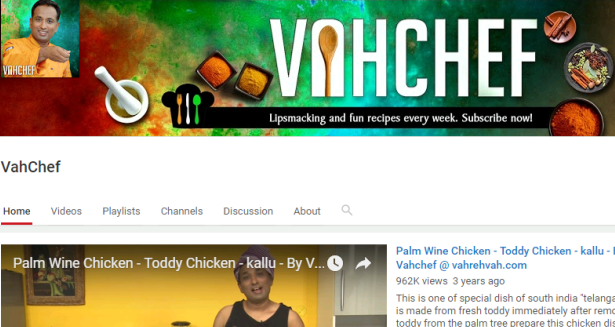 channels with his best cooking shows. If you dig his story, you come to know that he clinched a gold medal in National Level Cooking Competition while studying degree. He is so passionate with cooking which rose him as one of the India's best Chefs and his YouTube channel, with more than 1500 videos has already attracted around 35 crore views offering best cuisine of all tastes.